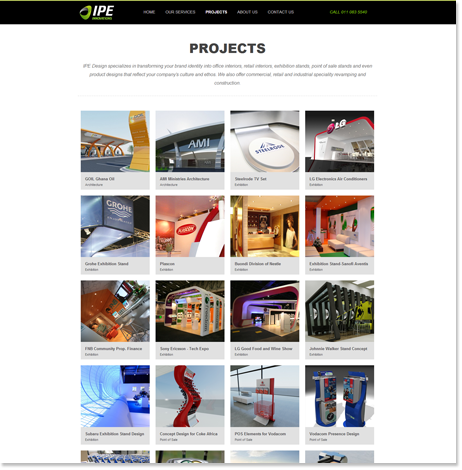 IPE Innovations specializes in transforming companies brand identities into office interiors, retail interiors, exhibition stands, point of sale stands and even product designs that reflect the company’s culture and ethos. They also offer commercial, retail and industrial speciality revamping and construction. 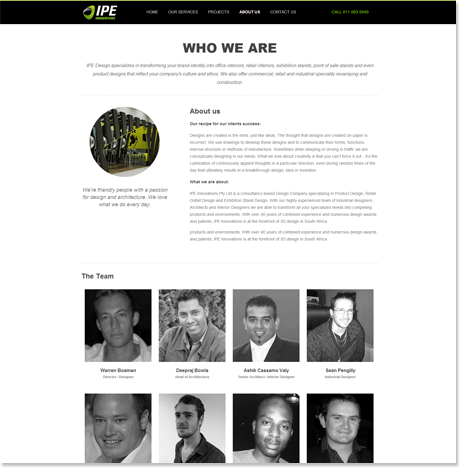 IPE Innovations came to us for the development of their official company website. We designed all aspects of their site and matched the library of images from their various service departments to fit in line with their creative and dynamic company culture. Having such serious creative credentials behind their name, our main challenge was to make sure that our designers delivered overall site layout and designs on par with that of this epic design institution. 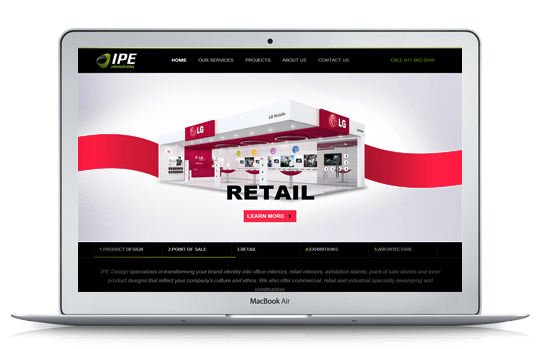 By analysing IPE's hallmark designs we were able to identify key design schemes and styles which we incorporated into their web design. Thus creating a seamless integration between their online site and their core design work and style. The result is one hell of the website which should damn well win awards!